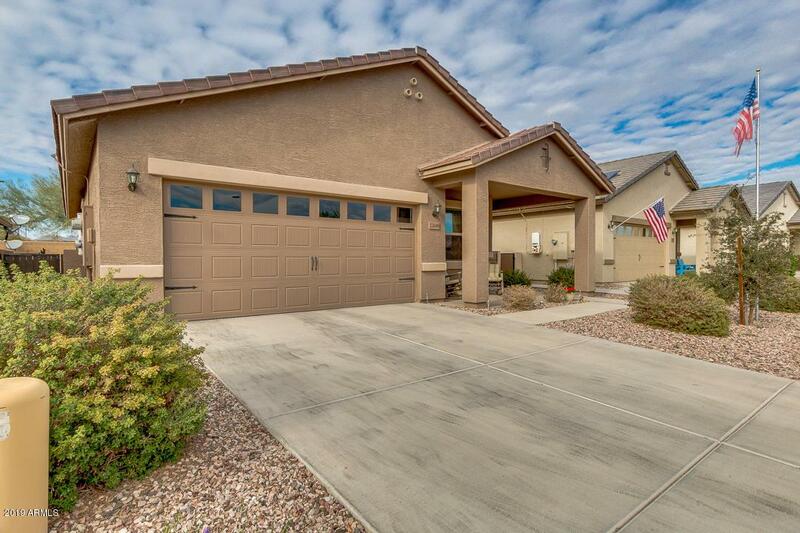 Captivating 2 bed, 2 bath home with den/office space is now for sale in Buckeye in the Sundance Active Adult Community. 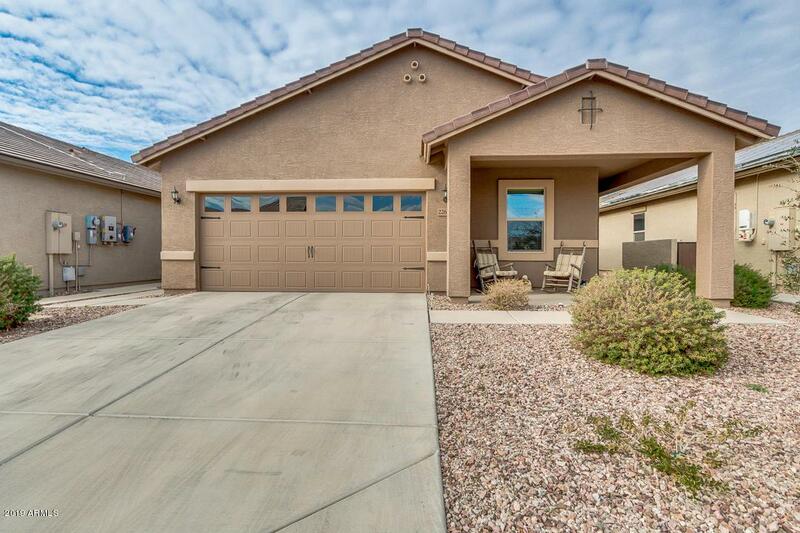 Fantastic curb appeal with a cozy front porch, desert landscaping, 2 car garage with built-in cabinets & epoxy floors. Upgraded interior with neutral paint throughout. 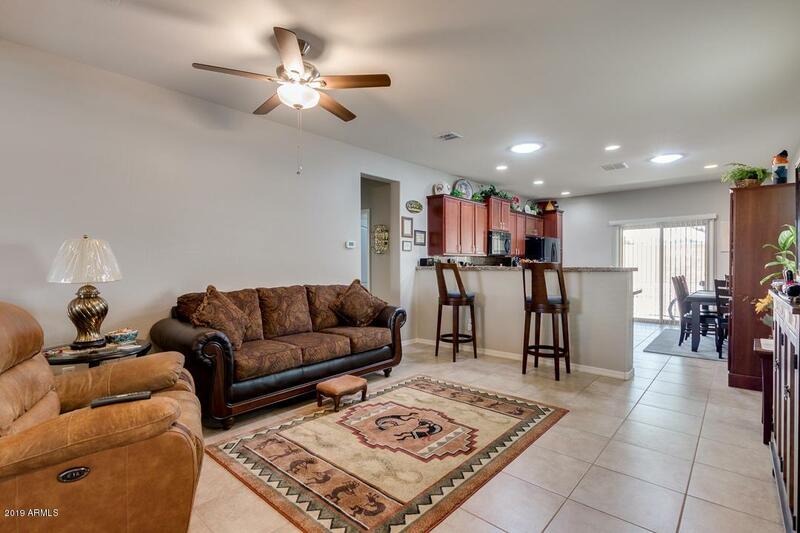 Lovely eat-in kitchen with glass tiled back-splash, recessed lighting, cabinetry with crown molding & hardware, granite counter-tops, & breakfast bar. Extra kitchen cabinets & large pantry were added along with high end sola tubes to bring in the sunlight & are equipped with night lights. Generously proportioned master bedroom with ensuite bath including shower bench seat. 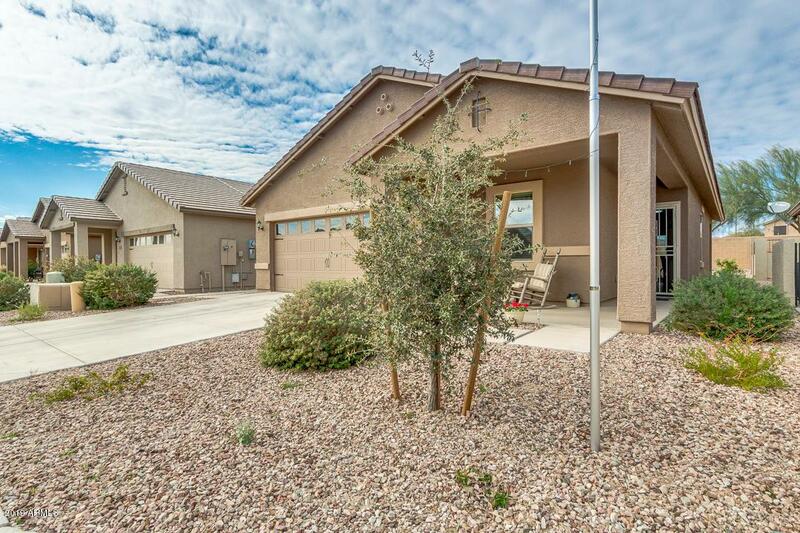 Backyard with covered patio & no neighbors behind. Solar panels keep bills low! CLICK VIRTUAL TOUR - COMPLETE INTERIOR 3D WALKTHROUGH.